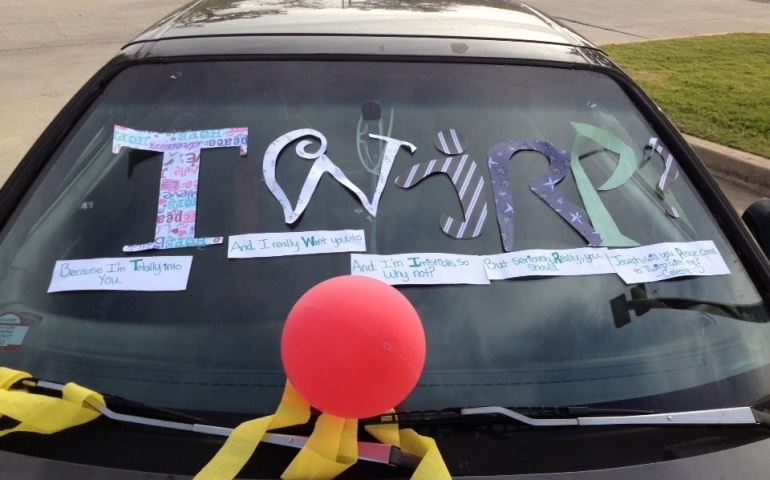 Well, if you’re one of those students who have been waiting for weeks to get all the details on TWIRP… fret no longer! Here’s everything you need to know about TWIRP! TWIRP is on Saturday, November 8 from 8 p.m. to 11 p.m. The event will take place at the Oklahoma City Science Museum. All of the galleries and stations in the museum will be open to students. This includes a planetarium show and a film showing! The current science film is Pandas and Chimps. Since the event is taking place in a science museum with a planetarium, it only makes sense that the theme for TWIRP this year is Outer Space! There will be a costume contest, so be sure to come dressed in your best space costume! With such a broad theme, there are a lot of creative ways you could go with your costumes. You could come dressed as planets, constellations, or as characters from Star Wars, Star Trek, Guardians of the Galaxy or any outer-space movie you’d like. There will be prizes for the costume contest and a scavenger hunt. Tickets for TWIRP are 5 dollars without a Crimson Card and 2 dollars with a Crimson Card. Remember ladies, The Woman Is Required To Pay! (Why else would it be called “TWIRP?”) Go as friends or as a date, but remember to come up with a creative way to ask your man to TWIRP and treat him to dinner! Happy TWIRPing! I hope to see you November 8!